Editor's Note: This is the second in a series of posts chronicling the Brewers' first pennant-winning season. 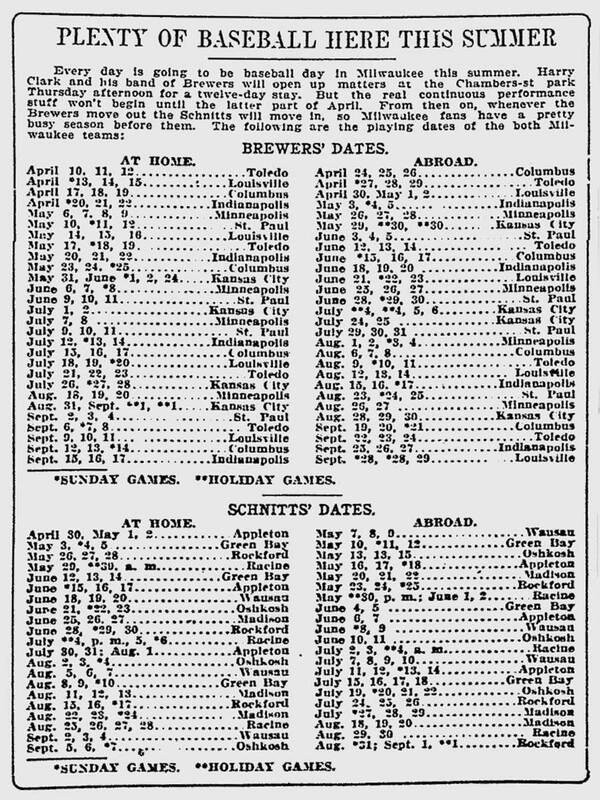 In the first week of April, 1913, Milwaukee was preparing for the the Brewers were finishing up spring training in Owensboro, Kentucky. The Journal's columnist William Wallace Rowland, who wrote under the name "Brownie", was covering the Brews in their Old Kentucky Home. For the third year in a row, torrential rains caused flooding across the region, disrupting travel in and out of the camp. With his usual relish, Brownie reported to his readers that he had seen "a live mule on the roof of a house, while in another direction could be seen a dead horse caught on the top of a telegraph pole along the wires." If he was less-than-enthusiastic about the Brews' decision to hold camp in the Ohio River flood district, he was encouraged by what he saw when he got there. 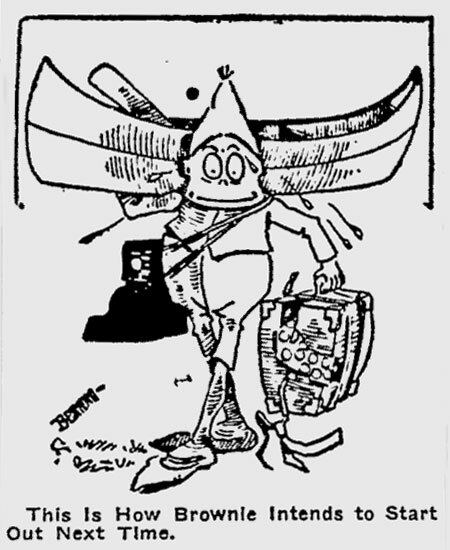 Although the Brewers would undoubtedly feel the departures of outfielder Nemo Liebold (sent to Cleveland) and catcher Ray Schalk (sold midway through the 1912 season to the White Sox), Brownie liked what he saw from new skipper "Pep" Clark. The longtime Brewer third-baseman had been promoted to player/manager in an attempt to stop the revolving door of managers that had hampered the club. 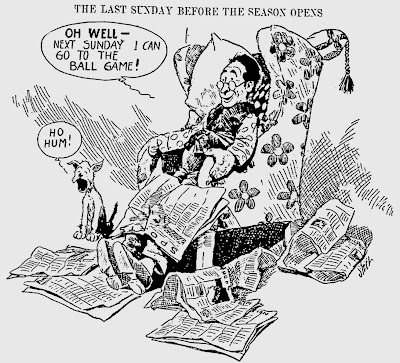 Clark, who was reportedly as beloved by his fellow players as he was by the fans in Milwaukee, had instilled "a fighting spirit" to the Brewers, "a spirit which was sadly lacking in some of last season's contests." "It's impossible to try to dope out the Brewers' position, but on the whole they look like a stronger aggregation than last season's bunch." If that wasn't enough, Cream City baseball fans would have a second team to follow from Athletic Park's wooden grandstands. 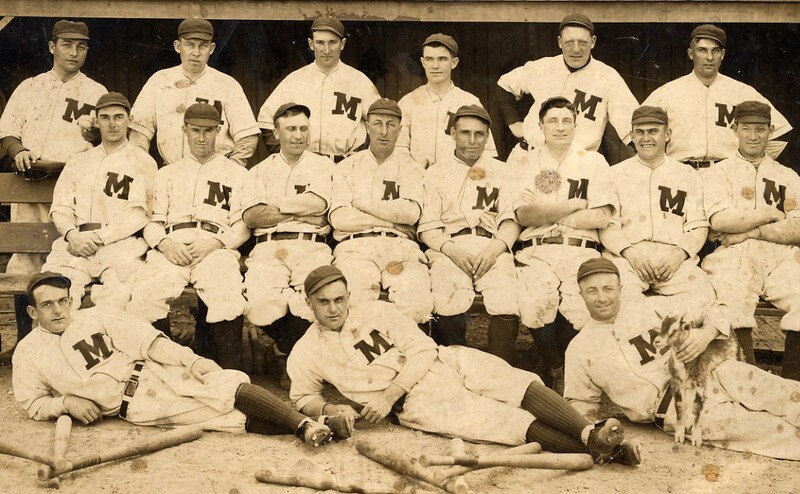 In 1913, Milwaukee would field an entry in the Wisconsin-Illinois league, a minor-league circuit with teams in Madison, Racine, Green Bay, Oshkosh, Wausau, Appleton and Rockford. 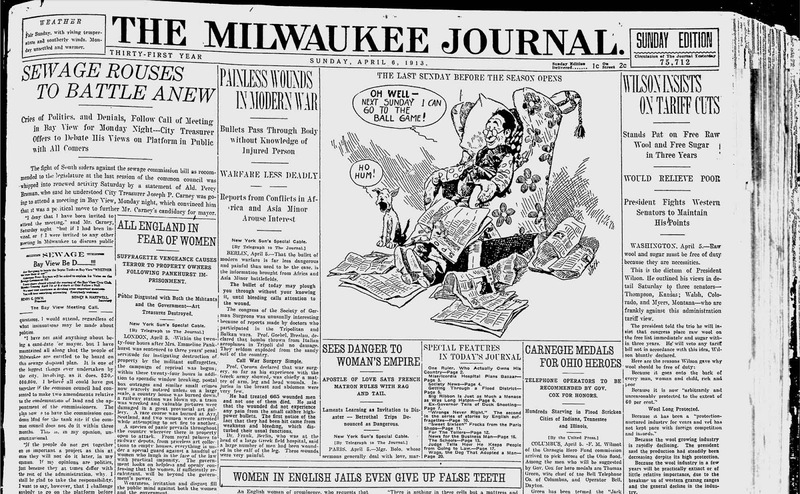 The new team was organized and owned by Milwaukee businessman Charles F. Moll, who had been president of the league from 1907 until early 1912. 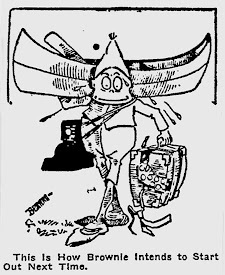 In the days before official nicknames were de rigueur, Moll's new team was referred to by different names in the various papers; the Journal called them the "Schnitts" or even "Assistant Brewers", the Evening Wisconsin tended to report on the exploits of the "Creams", while in the pages of the Milwaukee Sentinel and other papers they were known as the "Mollys", after their owner. 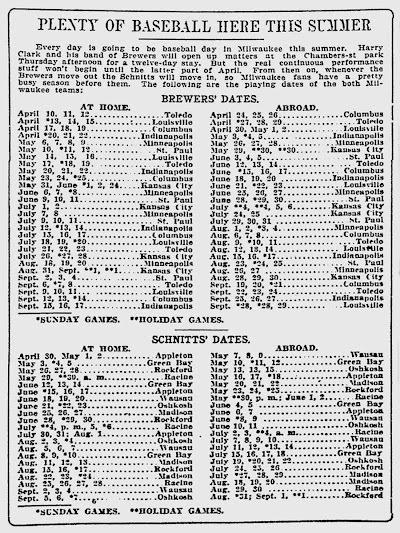 While the Brewers were away in Kentucky, the Mollys were preparing to hold their own spring training closer to home, in Oconomowoc. There was no word on the flood levels in Waukesha County. For a regular season home, the Mollys struck an agreement to use Athletic Park when the Brews were on the road, giving baseball fans a full slate of games to look forward to. Milwaukee was ready for baseball. And so were the Brewers.